Below is what should be done to prevent mice from entering your home. To present the most accurate professional advice we asked the guys from National Pest (Not Post) to give us some advice. This is a primary reason for mice getting into our homes. Where possible, food should be stored in rodent proof tins. Such include glass tins or metallic ones. Use of materials such as paper only serves to encourage the mice as they can chew them. In the event where you own a pet, such food remains should be disposed properly. Food availability harbors mice. So in order to eradicate them, all food remains should be disposed off properly and feeding points of pets kept clean. Cable channels provide a way where mice can follow to get into the house if the holes are large enough to accommodate them. Drain channels too offer a way through which mice can get into the house. To prevent this, such entry points should be sealed and filled with material which will render them impassable to the mice. Basically this is an extraordinarily potent chemical which is added to rat food. When mice consume them, then they die within a matter of minutes. This is highly effective because rats do not move during the day so it becomes convenient to get them using their food. Where rat poison is not viable, take for instance where there are small children, rat traps become convenient. Despite the fact that they are less precise that poison bait, they are able to trap and squeeze life out of a rat. Always look out for entry points around the house. Entry points can be through large cracks or spaces in the foundation of a house. Once identified, put a permanent fix such as plastering the walls with concrete. 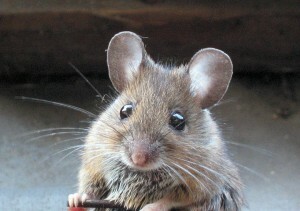 Doors and windows provide a direct entry points for such rodents especially during the night. Openings, which are rarely used such as garage doors should be opened and closed only as needed. These points should be in decent shape and should be able to be closed and opened properly. Ensure all food particles falling on the floor are cleaned regularly. The dustbin should be emptied always and sealed tightly to prevent it being a source of food for mice. Ultimately, the trick is to create an environment where pests will find it difficult to thrive.